Sturm Box Promotion, headed by WBA super middleweight champ Felix Sturm, won today´s purse bids in Rome for EBU middleweight champ Grzegorz Proksa´s mandatory defence against Sturm´s former stablemate at Universum, Sebastian Zbik. 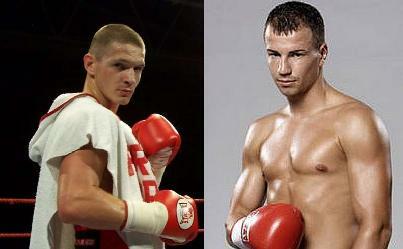 SBPbid according to Bild 176 100 EUR for the fight. Sauerland finished second with a bid for 153 079 EUR while Proksa´s promoter Matchroom came in third at 100 001 EUR. Universum, Zbik´s promoter, sent in their bid by fax - something that appears to be against the EBU rules and thus their bid wasn´t recognized. When and where is to be announced but according to Bild SBP are looking to do the fight in Zbik´s hometown of Schwerin, a town in what used to be East Germany, home of Traktor Schwerin at one of the best amateur clubs in Europe and boxing always do well there.